Oslo, a Norwegian city known for its beautiful beaches and 19th century architecture, also serves as home to MDGC 2016 champions like Joakim Magnus, a dynamic Youth With A Mission (YWAM) base leader currently working to advance gospel movement in this Scandinavian capital. This month, we took some time to connect with Joakim to learn more about Oslo’s journey towards gospel movement. T. Aaron Smith is not only the author of two books but has also led the Servant Partners team in the Philippines, directed the Transformational Urban Leadership Program at Asia Theological Seminary in Manila, and served as an instructor in the Servant Partners Global Urban Training School. Smith earned a Masters of Divinity from Asian Theological Seminary and a Doctor of Ministry from Bakke Graduate School in Seattle. Today he and his family have dedicated their lives to serving among the urban poor in Manila, Philippines. In His book, Thriving in the City: A Guide to Sustainable Incarnational Ministry Among the Urban Poor, Smith helps answer the questions “what does it mean to live in an urban poor slum or inner city for twenty years” and “What does it take to raise a family there?” He uses his own history of 12 years living in Manila, Philippines, as well as that of 100 other leaders who have devoted their lives to work, live and raise families within urban poor communities. If you have a desire to learn more about these unique challenges, pick up Smith’s book today. This month, we caught up with Alan Platt, Founder of Doxa Deo, an organization committed to advancing gospel movement and establishing churches and educational institutions in South Africa primarily, though they have also established three churches internationally in the cities of London, Auckland, and Stuttgart. Alan has worked in ministry since 1983 and is a sought after speaker who also brings significant influence to the broader business and educational structures at large. Alan has also recently authored his first book titled ‘We Start At Finish’, which is fast becoming a life changing instrument for many ministries. Q: You are the founder, Doxa Deo, a ministry that serves 30,000 people in over 12 different campuses as one integrated church in the city. Would you be willing to share a little bit about what led you to found Doxa Deo? We had the privilege of leading a church out of a crisis situation, and in a short time it became a church with incredible momentum where many people were coming for the exciting program of excellent worship and good word. However, in 1994, we had a deep experience that challenged us to no longer be a ‘church for the church’ but rather a ‘church for the city’. It took us two years to figure out the strategy that we would want to implement, and thereafter we launched as Doxa Deo with a new vision to engage City, Society and Culture at large. Q: How would you describe the current gospel landscape of South Africa? Over the last 20 years we have seen incredible opportunity for the church to become relevant to society. As a new democracy was formed in South Africa, there were obvious challenges in the different spheres of South African society that became opportunities to engage with grace and truth. Right now there is great political instability, economic challenges, and renewed racial tensions in our country. Corruption and crime are at some of the highest rates ever in the history of our nation. This is an opportunity for the church as we can never ‘waste a good crisis’! Q: What urban issues are the people of South Africa facing on a daily basis? Urbanization is taking place at a rapid pace in the nation, and the infrastructure and unavailability of jobs is creating a challenging situation for our communities to contend with. We have an official unemployment rate of 25% though some would believe it is closer to 40% which is the percentage that young “school leavers” contend with in terms of being able to find work. There is also the challenge of illegal immigration which causes xenophobic outbursts as people are convinced the jobs are being taken from South African nationals by people that have arrived in our country by illegal means. Q: Your role has extended beyond the ministry sphere to influence the business sector, education and society at large. Can you share about how you approach the work of gospel movement in these spheres of society? We have worked for years on a very simple strategy which engages eight spheres of society at three different levels. Mobilization – This aspect of the strategy involves the equipping and commissioning of our members who we refer to as ‘partners’ of the dream. They are equipped through our ministry and then commissioned to engage society in the spheres in which they function for most of their life. We also refer to these partners as “City Changers,” and celebrate what God is doing through them as it becomes an extension of our ministry. Engagement – This aspect of the strategy involves the identification of a particular area in which we want to engage because we believe that we could make a distinct difference as a ministry in that particular sphere. Education is one example of a desired sphere of engagement in which we set up an office called TREE – Transforming Educational Environments. Currently, we are active in 90 schools with 60 full time youth workers deployed to engage those educational environments through this program in Pretoria. Modeling – This aspect of the strategy involves the establishment of an institution that addresses the felt need within the community. An example of the implementation of this portion of the strategy is POPUP – The People Upliftment Program. This is a vocational skills training program that is currently working to equip people with 18 different skills in three different training bases in the city. The students in this program are also supported by a Medical, Dental and Eye Care Center, as well as provided with childcare support. This process has served more than 6,000 people, of which over 70% have been successfully placed into a permanent occupation. We also celebrate that over 70% of participants in this program make a commitment to Jesus Christ during the course of their training. Q: How can the broader Movement Day community support those working to bring about gospel movement in South Africa and your partner cities in the UK, New Zealand, and Germany? When more people become aware of our work, God stirs their hearts to consider partnership, which can happen at various levels, supporting us to make greater impact in the different areas where we are involved. We have had various short-term teams coming to serve from different areas of the globe, which is a blessing. We are always grateful when institutions, ministries or foundations choose to invest financially to empower us to do what we are doing. There is a global move of God bringing the church together for greater strategic collaboration, which will definitely lead to greater Kingdom impact. I do believe that the global Movement Day is one of the key catalytic moments that God will use to stir and galvanize this unified engagement of his people worldwide. We have seen some amazing initiatives for unity and kingdom engagement in various cities across the globe. 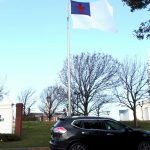 However, many of them are driven by parachurch organizations and the church has not come to engage as I believe it could. My contribution – as someone who has seen God facilitate unity and city transformation through the local church – would be to stir up pastors and leaders of local churches with a challenge to become more relevant to their communities at this very important time in world history. We will be sharing a strategy that would not result in the establishment of yet another program in the church, but rather stimulate a culture that releases the people of the church to be transformational agents in their communities! Touted as the financial and entertainment capital of India, Mumbai is a dynamic city that also shapes the tone of gospel movement within the nation of India. 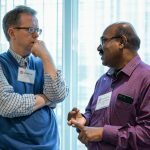 To learn a little more about the gospel landscape of city of Mumbai and nation of India, we recently connected with Rev. Arthur Thangiah, MDGC champion and key leader within the Mumbai Transformation Network, an organization committed to advancing gospel movement. Mumbai is a city defined by a dynamic energy and the parallel existence of affluence and poverty. Described by Rev. Thangiah as “a city that never sleeps,” Mumbai also features food stalls for every taste and budget, local trains packed to bursting, and even a refreshing seaside stroll. Mumbai serves as the base for the National Stock Exchange, the Reserve Bank of India, and Bollywood, thereby securing its role as a leading city within the nation of India. The city of Mumbai’s gospel movement journey is thought to have begun in the 17th century with the arrival of the Portuguese, and the beginning of India’s gospel movement has been attributed to the Jesus’ disciple Thomas. Mumbai currently contains a wide variety of denominations, which are committed to continuing a journey towards unity that began in the 1970’s and 1980’s. India’s latest census cites 2.3% of the nation’s population as Christian, though local church leaders believe this number does not reflect the fullness of the community committed to the gospel. Different organizations have taken up the charge to advance gospel movement in a strategic and effective way. These efforts are organized according to different spheres of need or influence within the city of Mumbai. For example, Mumbai’s Arts Conclave has organized two conferences and is engaging in ongoing collaborative relationship with pastors for the purpose of creating a space for artists and the arts within the church. A conference has been organized to equip and empower pastors and leaders to utilize media effectively in the journey towards gospel movement. A legal cell is training Christians with knowledge regarding their rights in times of religious opposition or persecution. Yet another conference on the topic of the ‘International Call to Compassion’ has been organized for over 300 delegates. While other partners are working in gospel movement seek to work in collaboration with the government authorities to address the need for family unity, seeking therefore to enact a major initiative to stem the rising divorce rates in Mumbai. Will you join us in lifting up, in prayer, the city of Mumbai and all those working to advance gospel movement there? Rev. Thangiah has asked that we pray specifically that “each individual in the Mumbai Transformation Network would function in their God-given role to transform Mumbai.” Thank you for your prayers! From Monday, August 1st through Thursday, August 11th founder and CEO of The New York City Leadership Center (NYCLC), Dr. Mac Pier, and Director of Movement Day & Events at The NYCLC, Ebony Small, attended The Lausanne Movement Younger Leaders Gathering (YLG). This gathering of 1,000 younger leaders from over 150 countries in Jakarta, Indonesia takes place once every decade. The goal of YLG is to mobilize and connect emerging evangelical influencers for global mission. Mac and Ebony served as co-catalysts for the Lausanne Cities issue network group. They co-presented two workshops on city movements with a primary emphasis on transformational leadership, which accelerates collaborative partnerships in service of the city. Ebony mentored daily a connect group of six leaders, and both Mac and Ebony held numerous 1-on-1 mentoring meetings with leaders passionate about city transformation. YLG opened the eyes of Ebony and Dr. Pier to the enormous urgency of need possessed by the international leaders coming to MDGC. The New York City Leadership Center is honored to host such influential people, and we pray this event makes an impact in their lives. From Jakarta to New York City, God is on the move! Bryan Stone, Associate Dean of Academic Affairs and the E. Stanley Jones Professor of Evangelism at Boston University School of Theology, comes from a background in urban social ministry and faith- based non- profit. Claire E. Wolfteich is Associate Professor of Practical Theology and Spiritual Formation and Co-Director of the Center for Practical Theology at Boston University School of Theology and helped co-write the book Sabbath in the City: Sustaining Urban Pastoral Excellence. Compiling their research based on urban pastors from across the United States, Stone and Wolfteich identify and examine spiritual practices that create excellence in urban ministry. In this book, they discuss challenges that urban pastors face while putting up with the pressure of trying to reach excellence. Stone and Wolfteich dive into several practices that help sustain ministers working in urban contexts. Some of these include, cultivating holy friendships, practicing Sabbath, maintaining lives of prayer and study, and setting appropriate boundaries. If you are a pastor in the urban context this is a must read for you.